When it comes to Christmas celebrations, Gothenburg may not necessarily be the first place that comes to mind. Sat on Sweden’s West Coats alongside a rocky, atmospheric archipelago stretching across 20 islands, the city has a calm softness to it that often gets overlooked. But don’t be fooled! 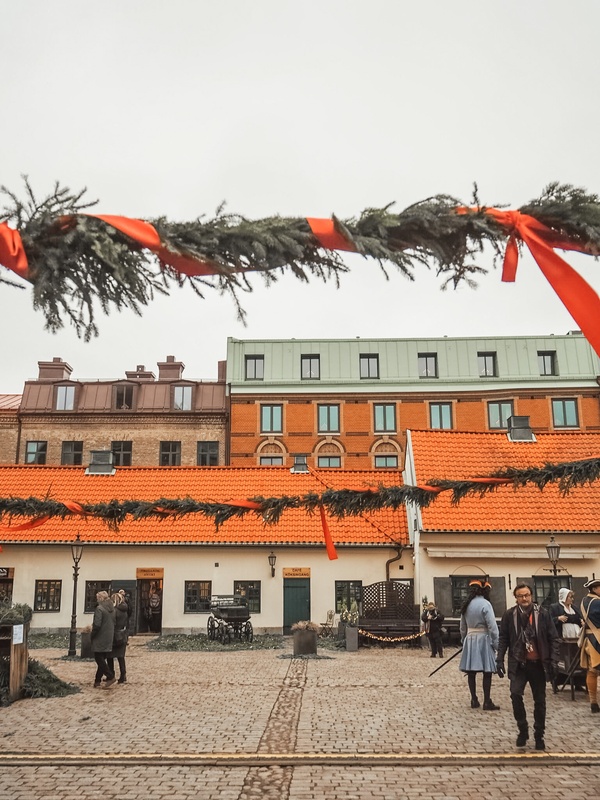 As I’ve discovered during my recent trip with West Sweden Tourism Board, Gothenburg has a lot to offer – and happens to be the perfect place to indulge in julsmys, the Swedish art of Christmas coziness. Swedish winters are long and dark, but it’s precisely the darkness that makes Christmas celebrations special. As the festive decorations light up the streets and the advent stars begin shining bright in every window, the short, dark days become a perfect excuse to embrace the festivities. Gothenburg doesn’t do things by halves when it comes Christmas celebrations. 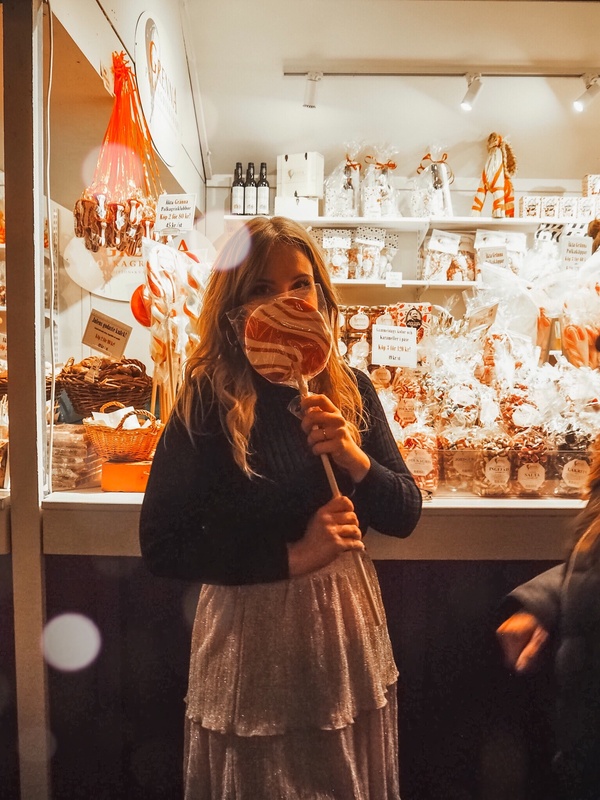 From Liesberg, Scandinavia’s largest amusement park turned winter wonderland, to the Christmas markets taking over the streets of the Old Town, there’s plenty to do during the festive season. 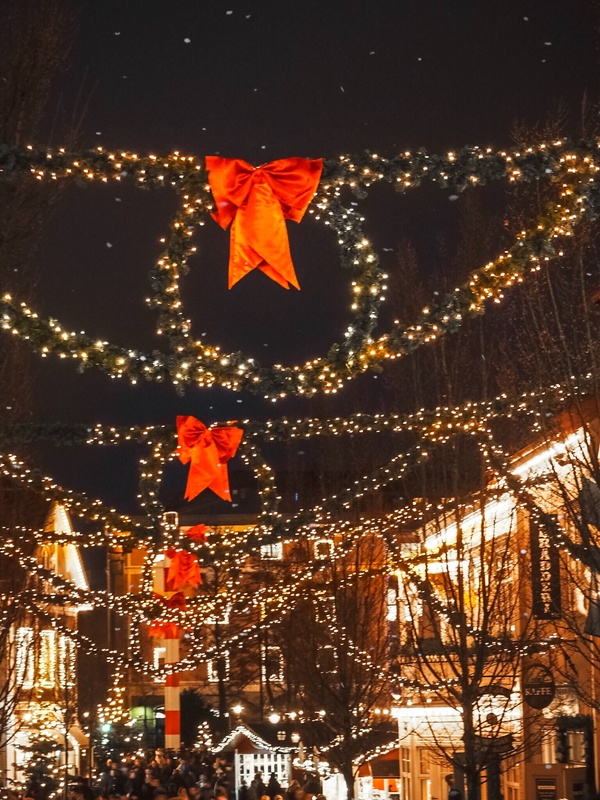 Scroll down for a Christmas Guide to Gothenburg – it’s still not too late to join the celebrations! Christmas at Liseberg is an experience like no other, and a perfect excuse to visit Gothenburg in winter. Enchanting, magical and sprinkled with a huge dose of holiday cheer, every winter the entire amusement park transforms into a glistering, snowy wonderland. There are pine trees covered in snow; Christmas cabins and shops selling everything from candy sticks and glögg to traditional handicrafts; there are ice skating shows, and of course – Christmas rides (over 40 of them!). Even compared to London, which never fails to deliver at Christmas, a visit to Liseberg remains one of my favourite Christmas memories this year. The amusement park will stay open till Sunday, 30 December, so there’s still plenty of time to enjoy the magic. 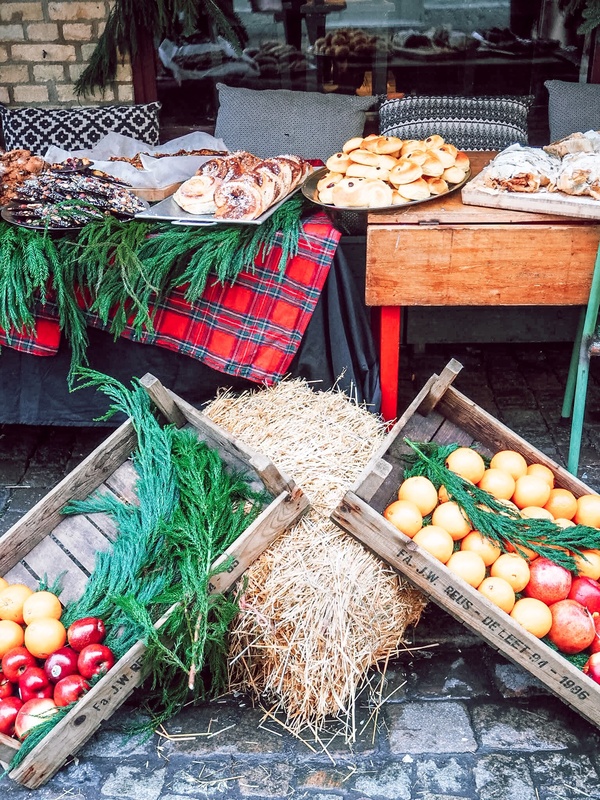 For a more traditional Christmas Market experience, head to Haga – Gothenburg’s Old Town. 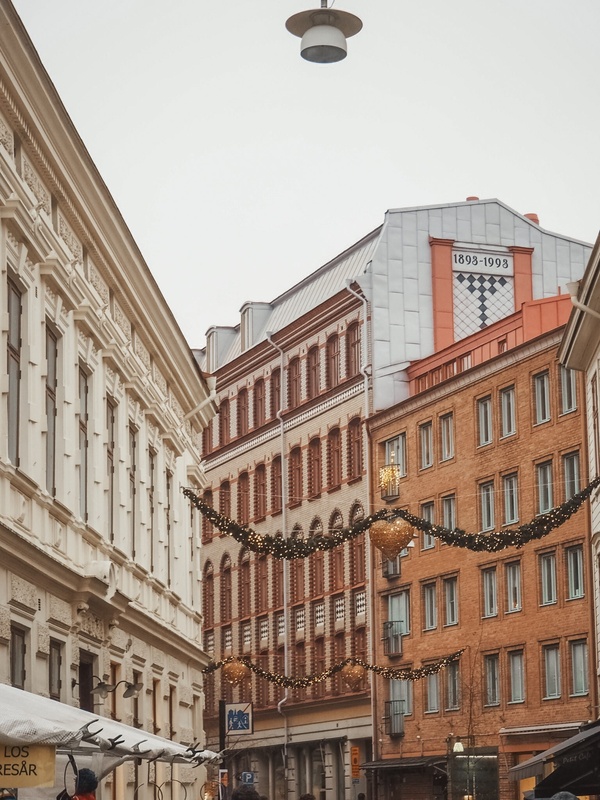 The area is charming regardless of the time of the year, but as the streets get filled with Christmas garlands, carols and the smell of glögg, it becomes even more magical. 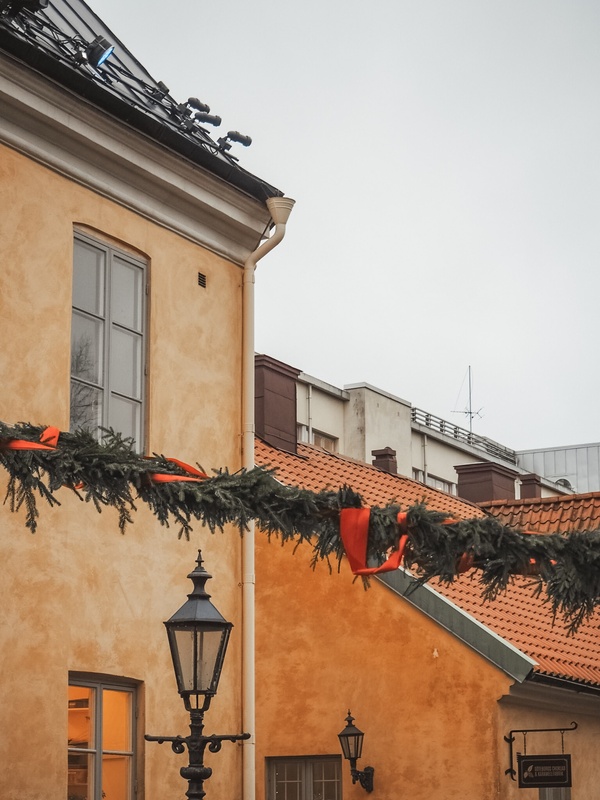 The main street, Haga Nygata, lined up with traditional Gothenburg-style houses becomes especially festive thanks to the Christmas Market. Expect carol signing, plenty of festive treats and lots and lots of festive cheer. 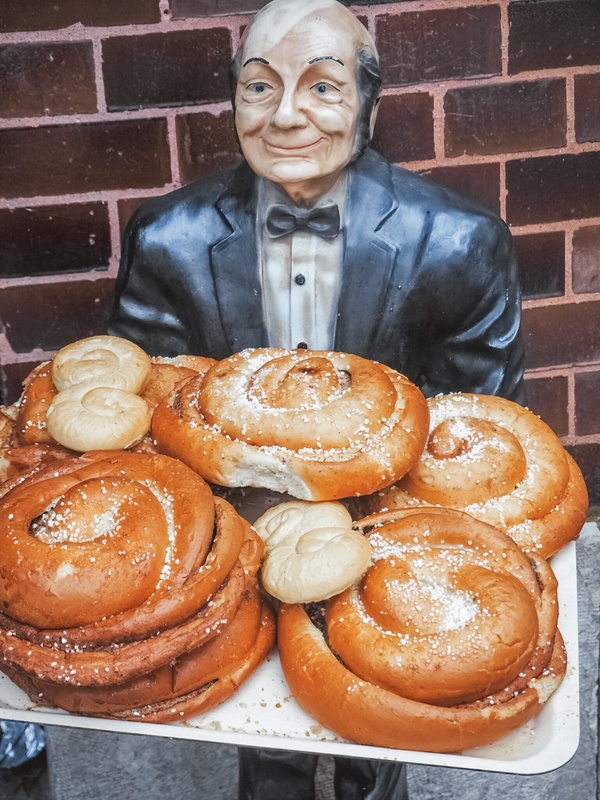 To take a break from browsing the busy stands, stop at Café Husaren, famous for their huge, plate-sized cinnamon buns – or hagabullen as they are called in Gothenburg. Dating back to 1654, Kronhuset is one of Gothenburg’s oldest buildings. 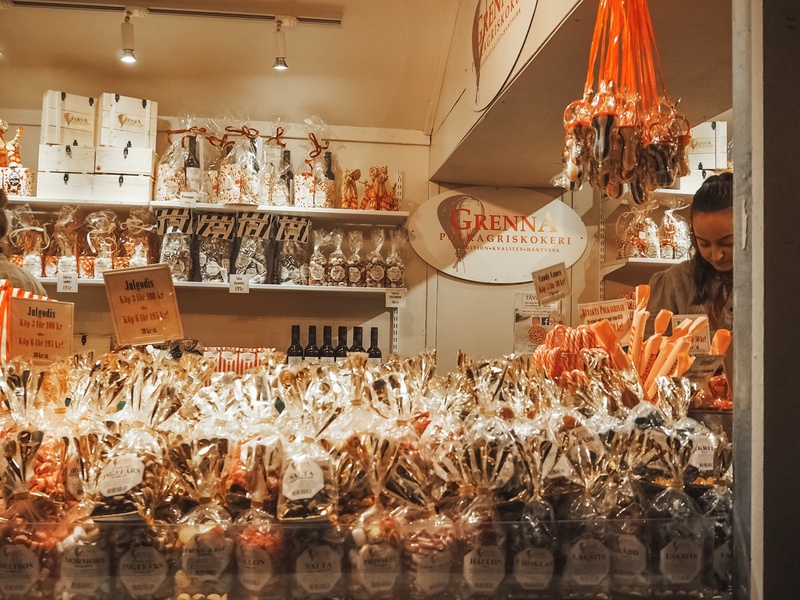 In winter, it becomes home to a local Christmas market where Kronhusbodarna artisans sell their arts and crafts. Don’t miss Siäcka Choklad, an adorable little sweet shop next door. The vintage interiors complete with beautiful Christmas decorations make it a perfect place to stock up on your Christmas candy! Restaurant Norda at Clarion Hotel has got to be one of the most festive restaurants in town. The plush, dark-green sofas and dimmed lights are a perfect backdrop for Christmas decorations. The food is delicious, but make sure you leave space for dessert – the best I’ve had on my trip to West Sweden! 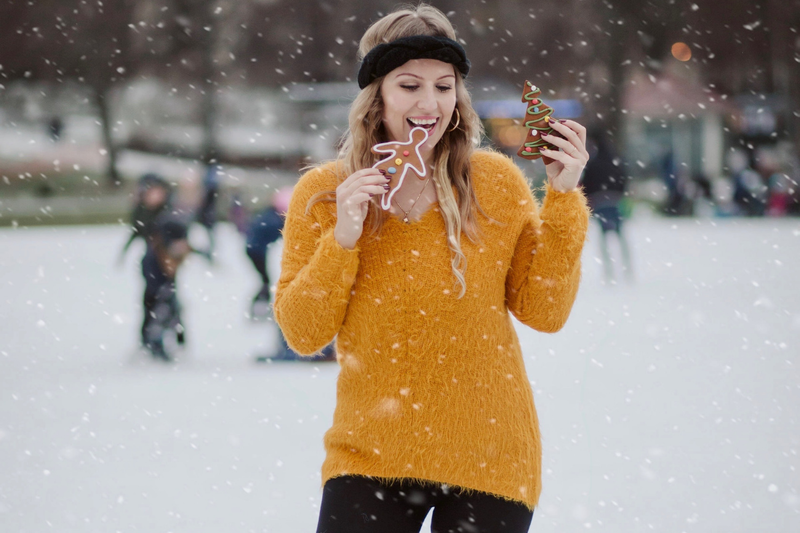 It wouldn’t be Swedish Christmas without a festive fika! 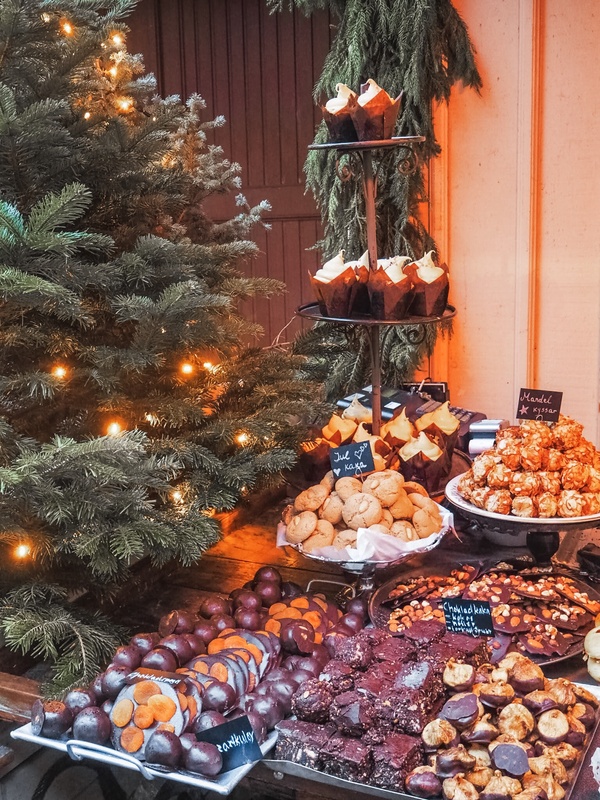 After all, what better excuse to enjoy a coffee break than in the Christmas season when the stores become filled with traditional pastries and cakes? This is when saffron gets added to pastries, giving them a warm, golden colour. One of my festive favourites are lussekatter – or ‘Lucia buns’, named this way because of their cat-like shape. The buns are traditionally baked for St. Lucia celebrations on 13 December but are served throughout the Christmas season. Grab yours at one of Gothenburg’s many cafes, or head straight to Da Matteo – the city’s favourite coffee shop. 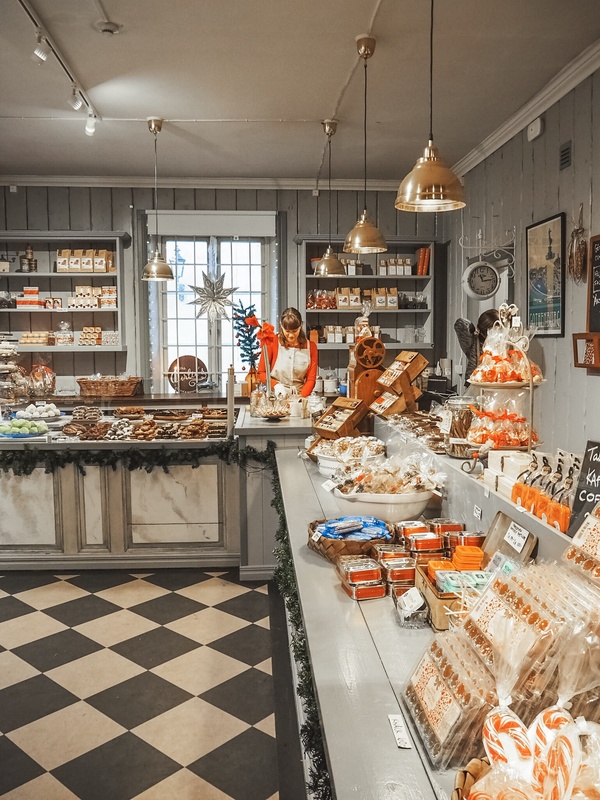 The branch at Magasinsgatan 17a is particularly lovely – the interior is large, warm and welcoming, and the florist store at the back is filled with pine trees and all-natural Christmas decor. Why buy saffron buns when you can learn how to bake them yourself, and make new friends in the process? Human connection has always been at the very core of my travels and I was excited to see that West Sweden Tourism Board shares the same idea. In fact, this is how MeetTheMeet.se came to life. This fabulous initiative, similar to Airbnb experiences but specific to West Sweden, allows visitors to explore the lifestyle and daily life in West Sweden from a local perspective. 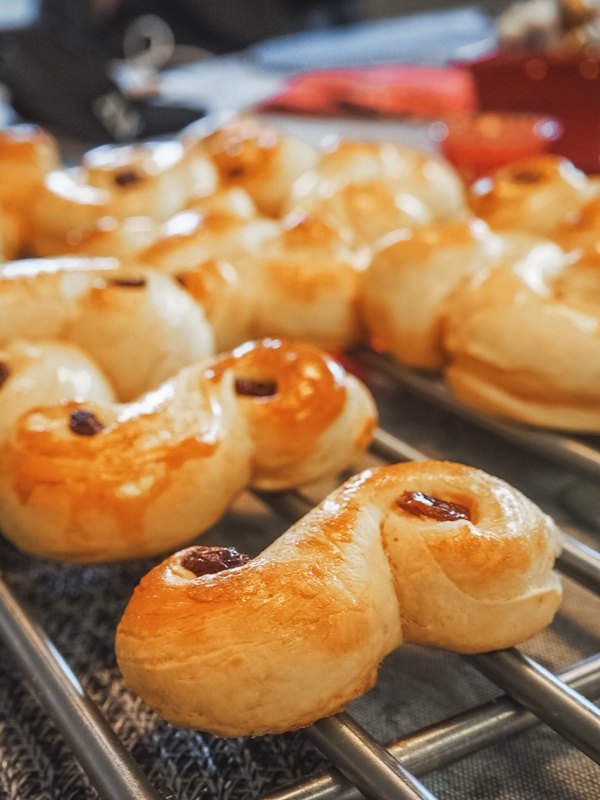 You can choose from different experiences, anything from nature walks, cooking and island hopping with locals… or, in my case, a lussekatter baking class. 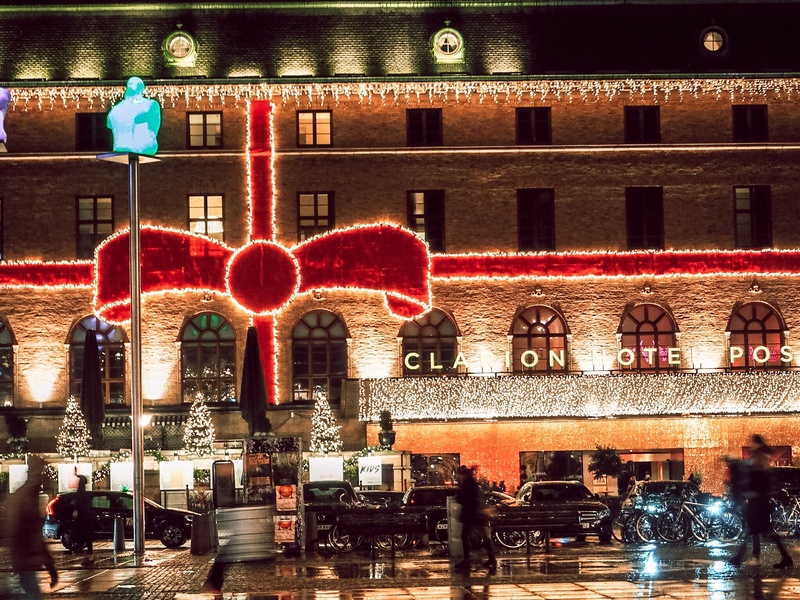 Christmas in Gothenburg is cosy, filled with light and very, very festive. Let me know in the comments if you’re going to visit this year!